Mariah Carey and James Packer have not broken up. Mariah Carey and James Packer just silenced their haters with this photo. 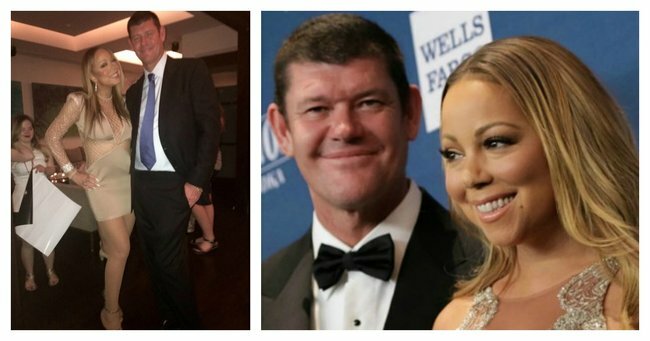 Mariah Carey and James Packer have been copping a lot of flack lately. Rumours have been swirling that the wedding is on hold, or cancelled, due to something from her career or related to her ex-husband Nick Cannon. In response, Mariah Carey has chosen to post a loved-up, albeit slightly blurry, photo of the pair on her Instagram today. The photo, simply captioned #jimmy pack (with some cute kissing emojis) shows the pair looking very cosy at what appears to be a meet-and-greet event at Caesar’s Palace Casino in Las Vegas. There is a fan in the background of the pic who met Mariah at the meet and greet. In an image posted just an hour before Mariah says “It was a dream come true meeting you too” and tags the young woman, @legit_los_angeles_girl. No doubt James was at the event supporting his bride-to-be before she takes to the stage for her DJ set at nightclub, 1 Oak. Seems like the couple are doing pretty well. If you can’t get enough of Mariah Carey, check out this E! series.